Firefox and Chrome show an insecure warning to the users for Non-SSL sites. So, site owners can’t get the proper traffic without SSL. Most of the user left the site because of insecure warning. Therefore, it is necessary to have an SSL-encrypted connection for all the genuine site owners. When you purchase SSL then it’s important to Redirect HTTP to HTTPS. Search engines can’t track your website is secure without redirection. These all possible by some changes in the .htaccess file. First of all, you have to know about the “.htaccess file” , where to find it and edit it. You can easily fix force SSL with .htaccess. I will tell you how you can do it. Just follow the steps below. If you have enough knowledge of .htaccess file then you can skip this step. In this file, there is some instructions/code which tells the server how to act before site load. There is mostly two type of instructions. How to edit .htaccess file? Two ways to edit the .htaccess file. You can save the file in your computer and then upload a file using FTP (You need FileZilla Software). Another option is you can directly open FTP, edit the file in a text editor like Notepad++ and save it. Note: First of all, take a full backup of your website. If anything goes wrong you can restore your website. Now go to “File Manager”. Select domain name (If you have subdomain or anything else) OR Click “public_html”. Now you are reach at the root of your web directory. If you can’t find “.htaccess” file click on “Settings” (Upper Right Corner). Then Check “Show Hidden Files (dotfiles)” and Save. Maybe one popup will come. Click on “Edit”. Finally new window will open with .htaccesss file code. At Last Edit the file and Save. Note: In below code snippet replace “yourdomain” + “folder” with your actual domain name and folder name. HTTPS Connection will be forcefully applied by adding this code in your .htaccess file. 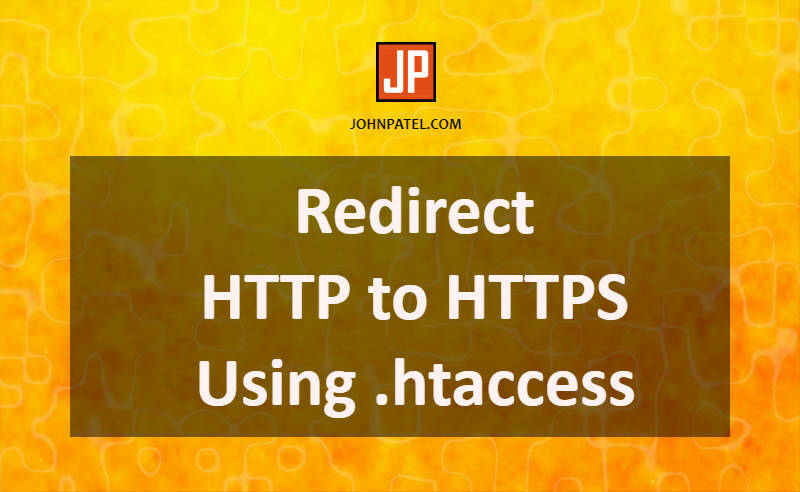 Rather you can add this code for the redirect HTTPS to a specific domain. Furthermore, you can force SSL to a specific folder. All the following code. I hope you liked this article. Please spread the love to share it with your friends.